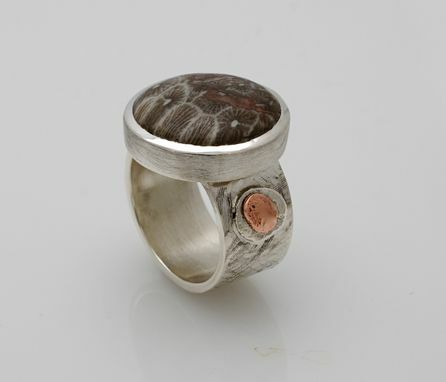 A lovely agate gem is the focal point of this one-of-a-kind ring. The band is made of authentic sterling silver, which I engraved with intricate patterns. Copper is also used as an added element on the side. 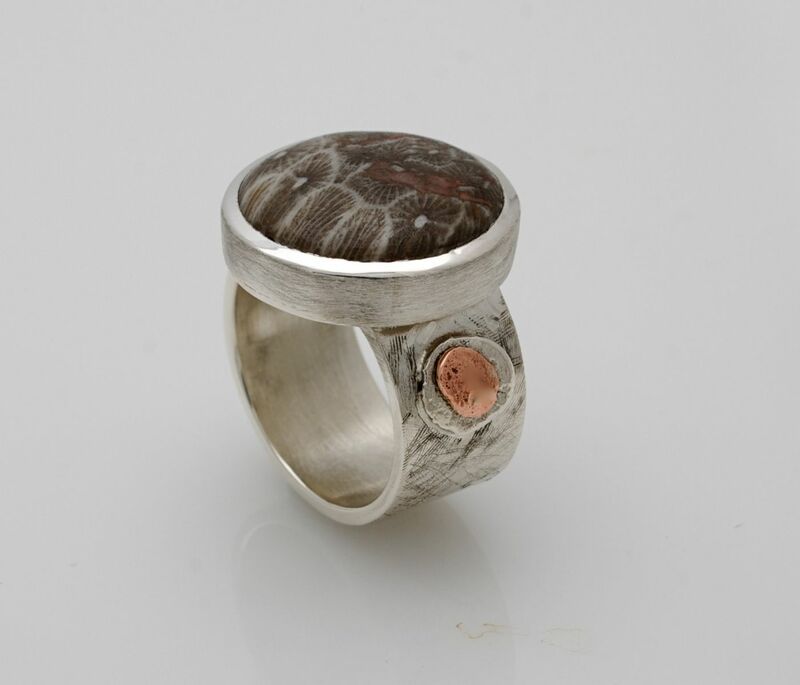 The agate measures 20 mm in diameter, and is set in a silver bezel.